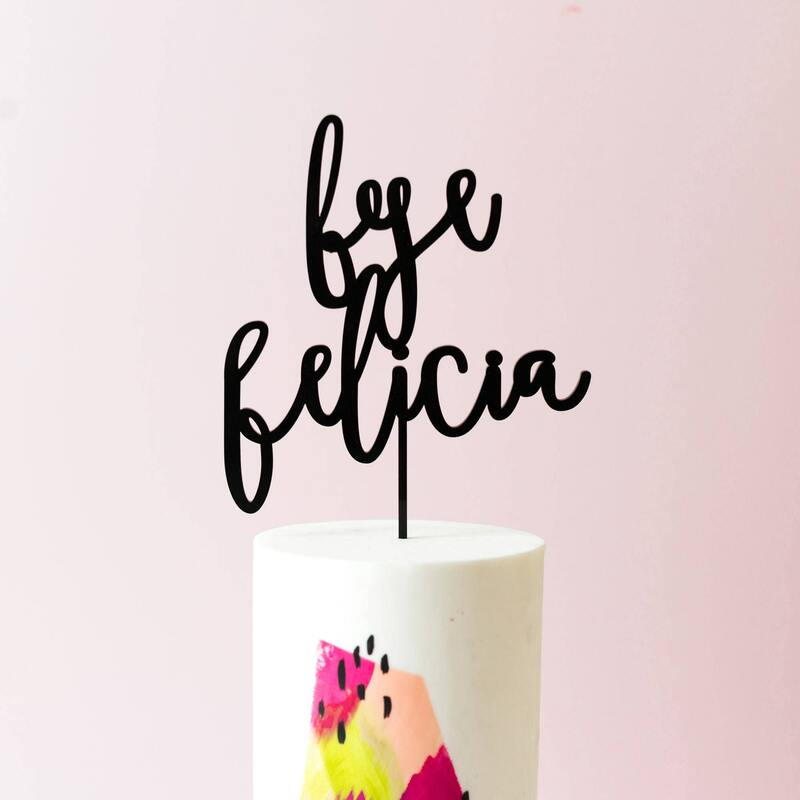 A total urban dictionary classic, Bye Felicia, from one of our fave childhood movies, FRIDAY. 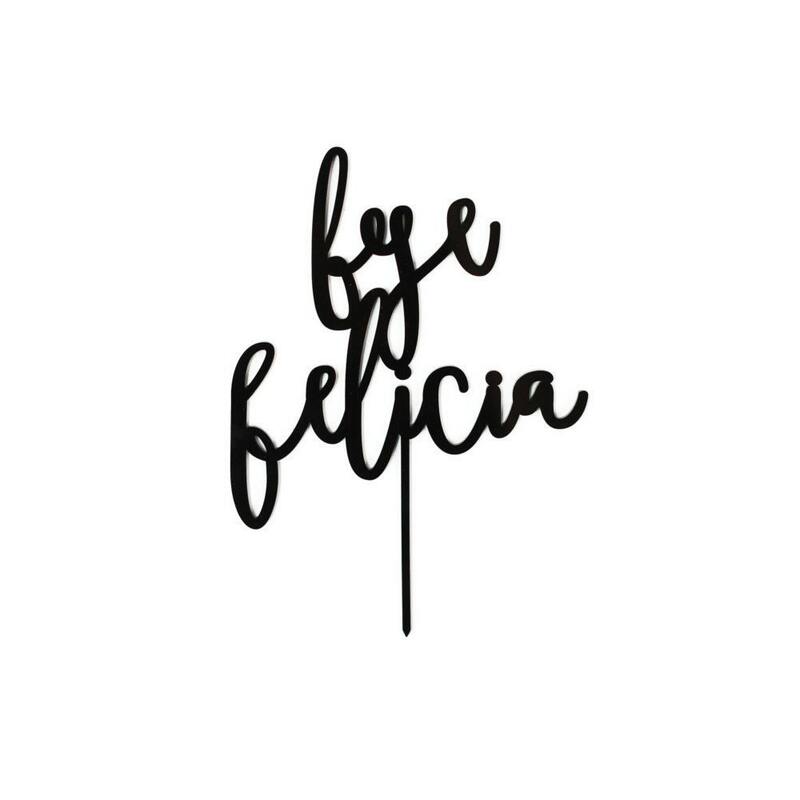 If you don't know the beauty behind "Bye Felicia" it's slang for when someone say's their leaving, and you could care less about whether they go. Definitely a joke among friends that grew up in the 90s. 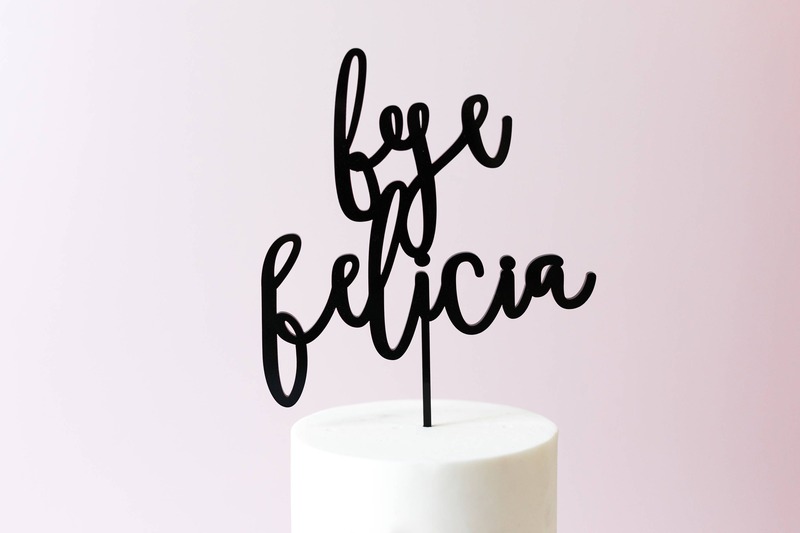 Perfect for bridal showers, bachelorette parties, Going Away or Goodbye parties and more! ***All mirrored acrylics have gray backings. Blush is translucent/has a frosted look. 100% Made in the USA!! These cuties can be used for cakes, cupcakes, flower pots, desktop decor, props for photo styling, and more. However, these are NOT TOYS. Please do not put into mouth or give to children. Handle with care. Please note that the colors on the color chart may vary on your computer screen or electronic device (i.e., cell phone). For custom orders, please contact Nic.Roc. Designs at least 2 weeks in advance. If you are not completely satisfied with your purchase, if items arrive to you in less than perfect condition, or you just had a change of heart, no worries! We will accept returns within 2 days of delivery, unopened and unused. You will be refunded the value of the product (excludes shipping). Unfortunately we cannot refund return shipping costs. *** Please allow 2-3 business days for production, and shipping. All orders must be paid in full before shipping release. Payments can be made through Paypal (credit card or through checking account). No checks, cashier checks, or money orders at this time. All orders placed within California will be subject to CA state sales tax. Orders can be cancelled at anytime before shipping. Once the order has been shipped, the item can no longer be cancelled. CUSTOM ORDERS must be cancelled at least 2 days after purchase. If custom art has been released prior to cancellation, The Roc Shop will not refund the custom design fee. All CUSTOM ARTWORK provided to you will be used as proofing before full production. If all artwork is approved, production will occur within 2 business days. 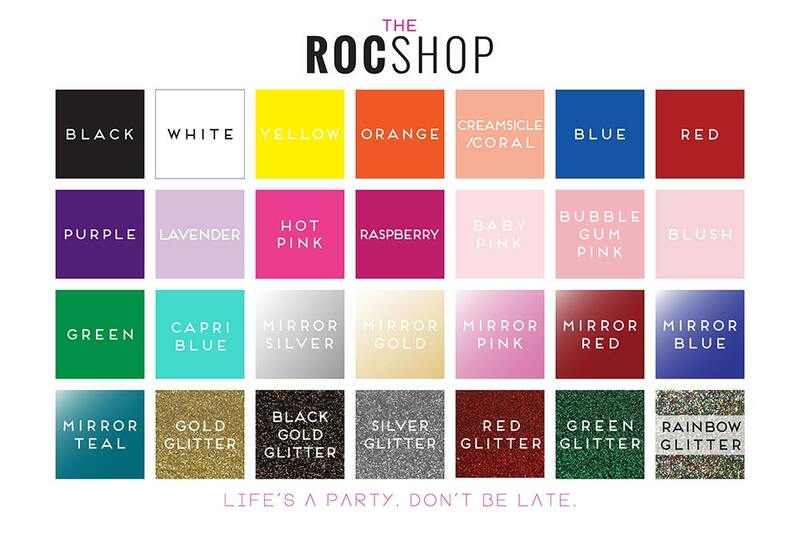 If there are any errors reported post production, The Roc Shop cannot make changes or produce a new item, unless the revised item is requested as a new order. CUSTOM ARTWORK cannot be used, sold, or shared by you, the consumer, or by a third party. The Roc Shop holds all intellectual property rights to all custom artwork. All orders will be shipped via USPS First Class Parcel Mail, which can take up to 2-5 business days. This does include tracking and insurance, up to $50 value. The Roc Shop is not responsible for any packages that are lost or arrive damaged. Upgraded shipping orders will be shipped via USPS Priority Mail, which has tracking and up to $100 value insurance. Orders will be shipped out to customers within 2-3 days post purchase. If you are not completely satisfied with your purchase, or you just had a change of heart, no worries! We will accept returns within 2 days of delivery, unopened and unused. You will be refunded the value of the product (excludes shipping). Unfortunately we cannot refund return shipping costs. If your items arrive damaged, please notify us within 2 days of delivery, and we will either refund your order (minus the shipping) or send you a new item at no extra charge. All items are handmade in San Diego, California with products that are made in the USA! All acrylics are USDA, FDA, and NSF approved. Meaning, laser cut cast acrylics are food safe.